Stuttaford Van Lines Johannesburg has teamed up with several other sponsors to assist 10 students from the Ivory Park Secondary School in Tembisa, to attend this year’s Matric Dance. Stuttaford’s relationship with Ivory Park Secondary School started two years ago when the Johannesburg branch hosted 10 girls at their facility in support of the Cell C Bring a Girl Child to Work Campaign. Stuttaford was very impressed with the students and teachers from the school and the idea grew to try and assist the students to attend their matric dance. Stuttaford was able to assist two girls in 2015 and, with the help of several new sponsors that came on board, the amount grew to a total of 10 students – 6 girls and 4 boys – in 2016. 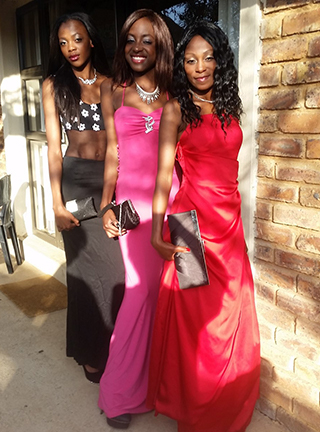 Due to the kind donations from our corporate sponsors and a Barnyard Fundraiser supported by friends and colleagues, Stuttaford Van Lines Johannesburg was able to assist the students with their tickets to attend the event, as well as dresses, suits, shoes, jewelry and make-up. Stuttaford Van Lines Johannesbrug is proud to be part of this wonderful initiative.